As we launch into April, it’s a fantastic time to bring nature indoors and celebrate the changing seasons with some new look home decor. Plus with the traditional spring-clean afoot, how about clearing away the clutter in time for Easter guests? 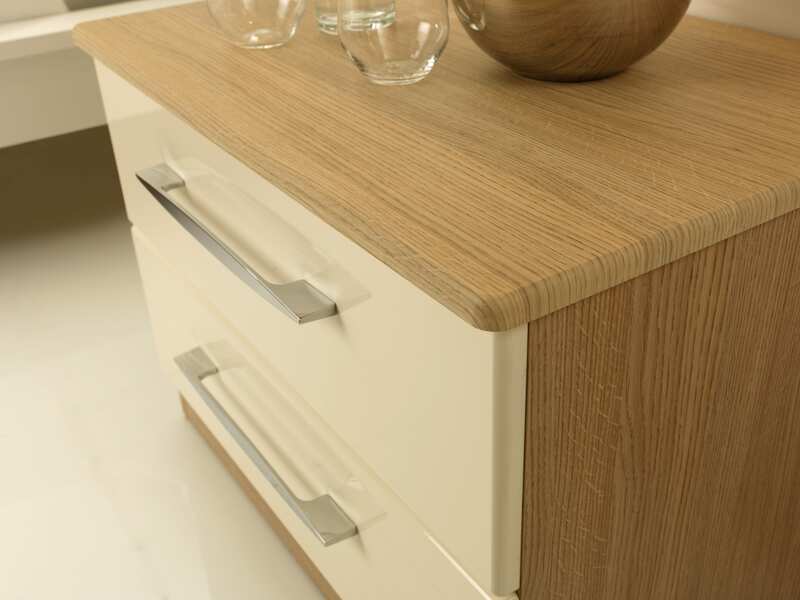 Clever storage will make your home look refreshed and organised, and choosing from our selection of wood-grain finished furniture is the perfect way to embrace the rusticity of your home. Sustainable interiors have long been billed as a key interior design theme for 2019, and this trend can easily be enjoyed using wood. All our furniture is crafted from fully sustainable reserves from managed forestations and has an aesthetic flexibility to fit into all types of interior schemes. As a renewable energy source, wood is one of the eco-friendly available. Importantly, there’s no danger of a short supply – in the UK most of our wood is sourced from forests in Europe where 661,000 hectares are grown yearly. Wood also helps our earth because it absorbs carbon dioxide from the atmosphere. The CO2 stays there too, so it is blocked from polluting the air. For each cubic metre of wood used as a building material, it will store roughly one tonne of carbon dioxide. On top of this, it’s ideal for preserving heat. A multitude of woods and wood-finishes are available as furniture; our range includes the lightest pine stretching to the darkest evola. Whether a deep and dramatic wood-grain, which looks impressive adorned with luxe metallics and contemporary-styled house plants, or a subtle light finish such as birch, which brightens a room with its natural shades, both looks will bring a natural calm and serenity to your living space. 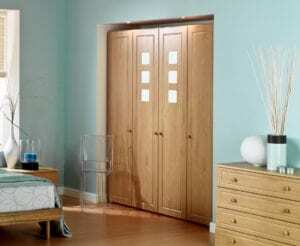 At Hartleys we design, craft and fit all our own furniture for bedrooms, studies and plenty of other living spaces. We can spray or hand paint our furniture to a customer’s specification, or they can choose from a wide variety of vinyl finishes. The popularity of paint shades ebbs and flows, but wood-grains are classics, lasting the test of time both in terms of style and quality. Spring is the perfect season in which to make improvements to your home. Though it’s an age-old tradition, spring cleaning is still very much a part of modern life. More than ever, in today’s society we accumulate ‘stuff’, and a good old de-clutter not only frees up some space in the house, but takes a load off our minds too. With the huge success of Netflix’s ‘Tidying Up with Marie Kondo’, an organised home and stress-free living space is all the rage right now, leaving many of us pining for stylish and productive storage solutions. The key is a uniquely designed living space, crafted to suit you, your lifestyle and your home; ultimately reducing the likelihood of clutter rebuilding. From master bedrooms and guest bedrooms to junk rooms and even cupboards under the stairs, there are infinite bespoke options to work around awkward dimensions, beams, sloping ceilings and other architectural features to fully maximise all available storage space. Similarly you can revitalise your home-study or multi-purpose room with bespoke space-saving ideas, such as fold-away beds, fitted desks and furniture ergonomically designed for more comfort, focus, productivity and enjoyment; especially suited to those who work from home. 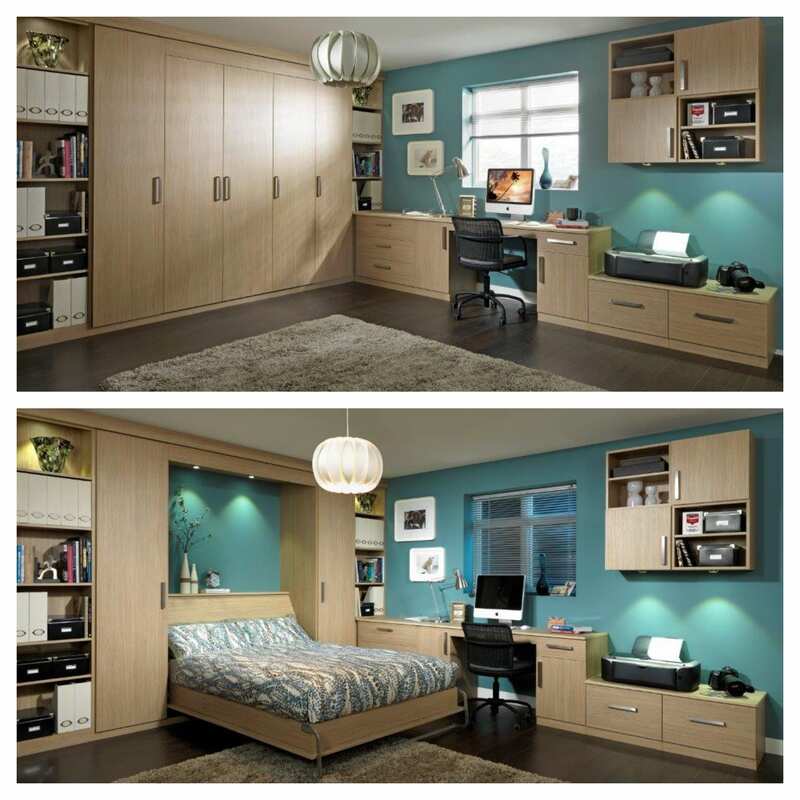 With obvious storage options often in short supply, dual purpose furniture means you can easily convert your space from a home-study to guest bedroom and back again with ease, and in a matter of seconds.